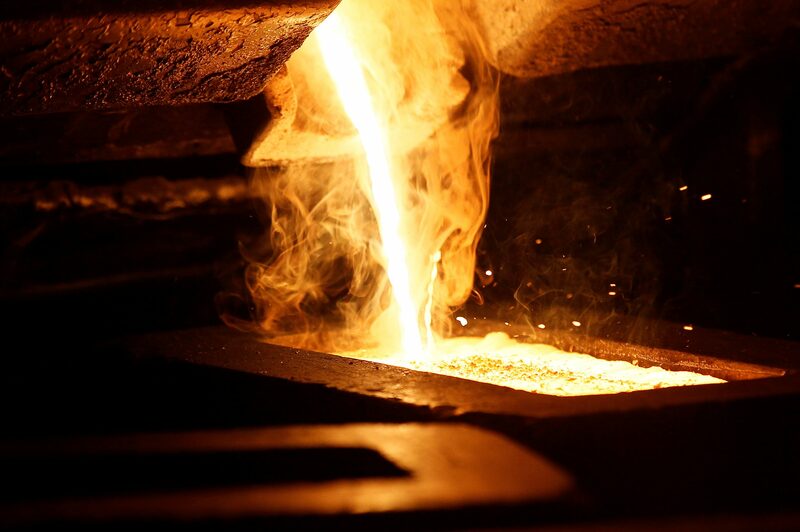 Liquid gold is poured to form gold dore bars at Newmont Mining's Carlin gold mine operation near Elko, Nevada May 21, 2014. Paulson & Co will not support Newmont Mining’s planned $10 billion takeover of rival Goldcorp as the premium offered is unjustified, the investor said in a letter on March 21. The transaction is dilutive to Newmont shareholders and only Goldcorp shareholders would benefit from the deal's synergies, the hedge fund’s founder, John Paulson, and a partner at the fund, Marcelo Kim, said in the letter to Newmont Chief Executive Officer Gary Goldberg. Paulson & Co holds 14.2 million Newmont shares, according to the letter. That gives it 2.7 percent of the company. Goldcorp shareholders are set to vote on the deal on April 4, and Newmont investors on April 11.